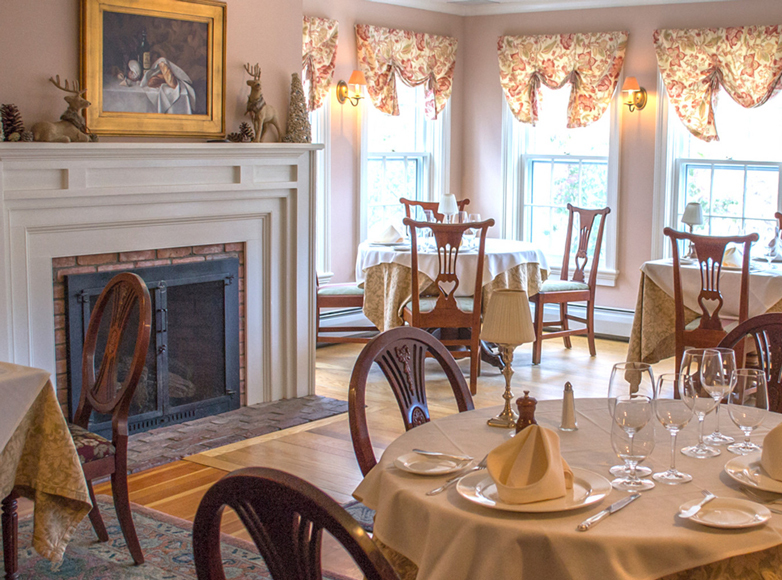 This Vermont boutique hotel for sale is the epitome of the concept Country Inn. In the first place it is in the country, at the end of a gravel road. The Inn sits on 160 acres of rolling meadows, stone walls, and mature woodlands, with views whose only limit is the imagination. Despite the idyllic setting, the Inn is quite accessible. It is one mile from Vermont Route 30, which 70% of Stratton’s affluent skiers traverse on the way to the mountain. Interstate 91, provides easy access from down-country. The pleasures of Southern Vermont, including Manchester, Grafton, Weston, and Newfane are minutes away. The Main Inn is a farmhouse that dates back to 1825. The Inn’s original details, including hand hewn beams and wood floors, have been beautifully preserved as the property has been renovated over the years. Many rooms at the Inn have fireplaces and whirlpool tubs and most have spectacular views. Furnishings and décor are in unfailing good taste. The public rooms provide ample space for cocktails and conversation. The main dining room overlooks the grounds and the Frog Pond, while a second dining room provides private space for larger parties. There is more; much more. A heated, in-ground swimming pool is strategically situated to provide distant mountain views. A tennis court is adjacent to the pool, although the view does make it difficult to keep one’s eye on the ball! There are seemingly endless trails for hiking in the summer or cross-country skiing and snowshoeing in the winter. To describe the facility, it is appropriate to use the word “fantastic” to invoke the feeling of fantasy. The Inn’s 22 guest rooms are replete with special amenities Inn guests desire. The quality of the facility is demonstrated clearly in its membership in Relais & Chateaux. If you are searching for an extraordinary Inn, you may look no further. This Vermont boutique hotel for sale could be that property. Contact us at 877-957-2360 for details on this world class Vermont boutique hotel for sale. Owner's Quarters Two bedroom owner's apartment attached to cottage rental. Option to convert cottage to stand alone owner's home.